Come Away! October 21 & 23 • Run Hard. Rest Well. October at Camp Lutherhaven is stunning. 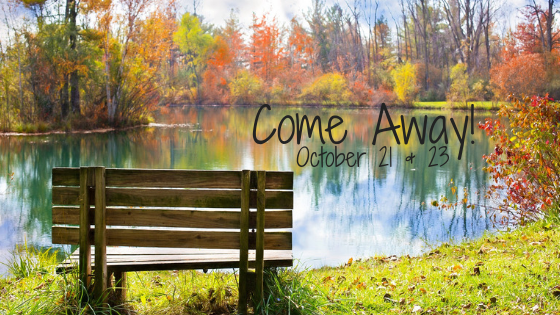 Grab a friend and join us for a Vantage Point Retreat this fall. It is an afternoon getaway designed to refresh your soul and position you to thrive. The $69 retreat, which includes the book Vantage Point, is available now until October 1st for $49. Visit the site to learn more. When registering, use this code VP201849 to save $20.